It starts with a sacred crypt, dug centuries ago, discovered under Manhattan. Buried with it is a diabolical creature spreading a strange contagion, claiming its victims by the thousands. But the dead aren't staying dead for long...and only one man is qualified to brave the unstoppable zombie army. Psychic detective Abraham Stroud knows the origin of what festers in the unholy pit. And only he can battle the primeval horror as it prepares mankind for the ultimate sacrifice. I liked the way that Abraham Stroud was a seer and was able to envision colonies of supernatural creatures. The plate in his frontal cortex from the battlefiend during Vietnam causes him to hear sounds that no one else can hear. He is unsure whether it's a genetic gift or a cursed gene. This was an interesting take on zombies being interconnected and controlled by ancient demons going back to the Egyptian pyramids where Stroud had been on a dig and uncovered a cache of crystal skulls including a very rare basalt skull at the same time the Etruscan ship had been uncovered in New York. Overall I liked the story although a few times I felt that it had too much going on back and forth which was a little confusing. At times I wasn't sure where I was at in the story. I really enjoyed Robert Neil DeVoe's narration. He had great flow and ease with his voice and a good character distinction. I hope to hear more from him in the future. I received the audiobook free of charge in exchange for an unbiased review. Zombie Eyes is a fast supernatural action story set in New York City. I'm unsure of the exact time period, but I'm guessing it is in the late 70's or 80s, given some of the text (eg, looters stealing VCRs, the main character being a Vietnam vet, and people sending telegrams). So this is likely either a previously unpublished work, or deliberately set then (I suspect the former). The plot revolves around an ancient evil being awoken from a long hidden burial site, uncovered by a new construction site. The reference to Zombies in this book isn't your typical zombies. I'd more personally classify them as possessed, like a huge plague of characters from the Exorcist. Which I think is a new plot to me, and I think probably more frightening. Zombie plagues are a dime a dozen these days (not that its a bad thing, I love them), but the take in this story is actually unique in my excessive reading in the genre. For those of you, like me, who note that this is "Bloodscreams #3", and "Bloodscreams #2" isn't available on audiobook, the book stands alone on itself, with only minor references to the prior novels. There are no real times when you are wondering what some past reference is about, as you may on a trilogy of interconnected novels coming in at part 3. The narration by Robert DeVoe was top rate, very easy to listen too, and I'll be looking for future books read by him. There were some minor mispronunciations, but more for uncommon terms that I've personally pronounced incorrectly myself (eg, Goethe). I'd be keen to hear the entire loose trilogy on audio, so I'll be keeping an eye open for part 2. Could you see Zombie Eyes being made into a movie or a TV series? Who should the stars be? Yes, I could definitely see this one being made into a movie- not so sure about a TV series. I could picture Jason Statham as David Stroud and Rick Moranis as Dr.Wiznewski. What starts out as one of New York’s most promising building projects turns into a nightmare when the construction crew unearths a centuries old ship buried deep below ground. The ship, while an archeologists dream, spreads an unknown contagion and runs rampant through Manhattan. In order to save the ever-growing army of “zombie-like” citizens from spreading the contamination throughout the country, David Stroud, who is all too familiar with supernatural occurrences, steps in to try and defeat the ancient evil that threatens to destroy them. This is my first “zombie book” and my first by this author. The archeological spin of the story made this an appealing read. I particularly liked how characters actions and behaviors were not always consistent when faced with danger and fear. This is how most of us would react I believe. I also feel this more realistic aspect was shown in the conclusion of the book. As the story progressed and the action increased, I felt that the story would play out well in movie form and currently this would fit right in with what is popular. Overall I would rate the book at 3 stars which for me means… Book considered "okay". I was able to finish the book and was at least partially interested/entertained. I might recommend this book to others if it seemed like something that would be a good fit for them. An not the usual beginning for a zombie story. What was one of the most memorable moments of Zombie Eyes? the hospital with the zombies. You will know the one when you get to it. I don't want to spoil it for you. What does Robert Neil DeVoe bring to the story that you wouldn’t experience if you just read the book? Did a great job bringing the characters to life. Going to have to pick up book 1&2. Great job! Buried beneath Manhattan a secret crypt lay waiting to be discovered. Enter rich man seeking notoriety, having too much money and a need to be front and center. Determined to build the world’s tallest building his crew unearths an ancient crypt. From the crypt comes a disease so unique and dangerous that New York’s population is dangerously jeopardized with more falling ill. Crazed zombie-like people are running around, dragging humans back into the crypt by the thousands to the bidding of the evil demon seeking release. Only one person can solve the mystery but unfortunately, he and his associates are lying in the hospital beds comatose. Psychic adventurer and researcher, Dr. Abraham Stroud is the only person who can solve and eventually defeat the unholy evil creature that is creating an army of zombies and taking human sacrifices. A roller coaster ride from beginning to end, one can feel the frustration of Stroud in his search for answers and knowing that time is running out for him and the human race. Robert Walker proves he is a brilliant craftsman of storytelling with his Zombie Eyes: Bloodscreams #3. His characters are well development and the plot moves smoothly. I have not had the pleasure of hearing his other books with the Stroud character but found no problem following this storyline as it may be read as a standalone. This is the third of Dr. Abraham Stroud’s adventures; I look forward to hearing more. This was an interesting combination of ancient demons, zombies and the human race. There were times when the story was a bit slow in developing in places. Overall it was an excellent listen capturing the frustration and fear of the characters. The narrator, Robert Neil DeVoe, performed the story very well. He was clever with his voices and keeping the momentum of the excitement going. I had no issues with the production of the audiobook. 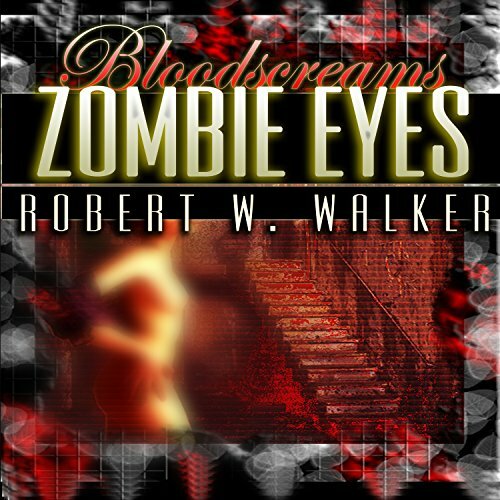 Robert Walker did an excellent job of publishing this audiobook.